Mickey Stonier grew up in Southern California as the son of a law enforcement officer in Hermosa Beach, California. 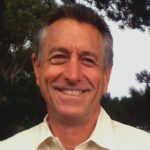 He moved to San Diego in 1974 to complete his bachelor’s degree at San Diego State University in Child Development and to acquire a California teaching credential. It was during this year that Mickey started inquiring about the Christian faith as an acquaintance had shared the Gospel with him. Mickey Stonier purchased a Bible and began reading the Gospel of Matthew in the New Testament to satisfy his questions. It was through the reading of the Scriptures that Mickey came to a saving faith in Jesus Christ as his Lord and Savior. Soon thereafter, he sought out a church and ended up getting involved in the brand new work started by Pastor Michael MacIntosh, which is now known as Horizon Christian Fellowship. Mickey Stonier was a member of the pastoral team at Horizon Christian Fellowship over 30 years. He served at Horizon in the areas of Family Ministry Pastor, Superintendent for the Horizon Christian School system, Interim President for Horizon College San Diego, International Outreach Coordinator for the Horizon International Festivals of Life and an instructor for the Youth Development International Crisis Hotline. In 1989, Mickey became the Executive Pastor of Horizon Christian Fellowship, under Senior Pastor Dr. Michael MacIntosh and also briefly served for two years as a Trainer for Children’s Hospital Child Abuse Prevention “Stop Program” and served the San Diego community schools and churches in educating parents, teachers and children in the Stop Safety curriculum. Since 1974 Mickey has been part of an extensive church planting ministry that has given witness to over 100 church plants, orphanages and parachurch ministries. In addition, Mickey has been very active in the development of numerous chaplaincy programs for the San Diego community and various public service agencies. Currently Mickey serves as an Executive Pastor at the Rock Church under Senior Pastor Miles McPherson. Dr. Stonier serves as Chaplain for the San Diego Fire-Rescue Department, San Diego Medical Examiner’s Office, San Diego Harbor Police Department, Office of Emergency Services as well as Chaplain for the Spiritual Care Response Team as a member of the National Critical Response Team. This national team provides spiritual care to the victims and families affected by weapons of mass destruction and major airline disasters, in coordination with the American Red Cross. In this role, Mickey was one of eight coordinating chaplains for the SRT team at the New York World Trade Center disaster from September 12-27, 2001. Mickey additionally works with the American Red Cross as a Spiritual Care Assistant Officer Chaplain and was one of the responding chaplains for the Santana and Granite Hills High School Shootings in 2001. Since January 2003 Dr. Stonier has served as the coordinating chaplain for the Family Justice Center which serves in the area of domestic violence for the city of San Diego. Mickey’s educational background includes a Bachelors of Science in Child Development from San Diego State University, a Master of Divinity degree from Azusa Pacific University, Graduate School of Theology, and a PhD in Marriage and Family Studies from the School of Psychology, Fuller Theological Seminary in Pasadena, California. Mickey is a member of the San Diego County Critical Incident Stress Management team and has completed many of the courses for Critical Incident Stress Management through the International Critical Incident Stress Foundation (ICISF) and has facilitated many Critical Incident Stress Management Debriefings throughout Southern California. Mickey is a Certified Trained Trainer for ICISF with Group Crisis Intervention, Law Enforcement Perspectives for Critical Incident Stress Management, Individual Crisis and Peer Support, Grief Following Trauma, as well as, Pastoral Crisis Intervention trainings level 1 & 2. Mickey is a Certified Emergency Services Specialist with ICISF, as well as, is a Certified Trauma Responder and Certified Trauma Services Specialist with the Association of Traumatic Stress Specialists (ATSS). Mickey is a committee member of the California Commission on Peace Officers’ Standards & Training (POST); Chaplain’s Curricula Development Project. In addition, Mickey serves the State of California Office of Emergency Services in its efforts to develop a statewide standard for crisis chaplaincy certification. Mickey also coordinates the Rock Emergency Management system in assistance to the leadership of Miles McPherson. Dr. Stonier is currently an Adjunct Professor at Azusa Pacific University and serves as the Director of the APU Graduate School of Theology San Diego satellite campus. He also teaches at the graduate school for Talbot Seminary and is a lecturer for the American Red Cross Spiritual Care Training and International Critical Incident Stress Foundation. Mickey and his wife Karen live in San Diego and have four children, Shiloh Caffrey, Michael, Julia and Madi and five grandchildren.